The Penny Black Stamp and Gold Coin Set is a remarkable collection celebrating the anniversary of the world’s first ever postage stamp. 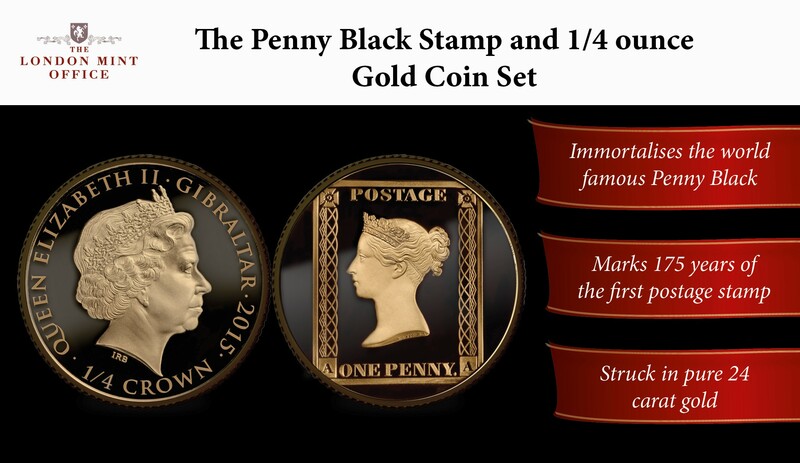 The Penny Black Gold Coin is struck in pure 24 carat gold to the highest Proof quality and layered with black ruthenium gold to achieve the appearance of the iconic Penny Black Stamp. The coin features a rendition of the Penny Black stamp from ‘Plate 11’ - the rarest type of the 1840 Penny Black stamps. It also includes an original sought after Penny Black Stamp. To learn more about this set, and to discover more about the history of the Penny Black Stamp - submit your request now. Can't wait? Please call 0808 178 2372.